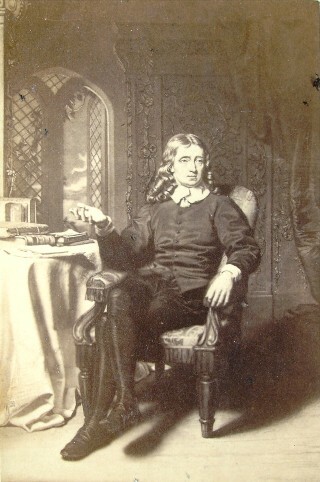 John Milton (9 December 1608 – 8 November 1674) may be best known for his epic poem Paradise Lost.. As you can learn from this Great Writers Inspire collection, however, he also published other poetical, prose and political work that has influended the thought and writing of others ever since. To learn about Milton's very special qualities as a writer, listen to the talk by Dr Anna Beer in which she discusses this against some extracts of Milton's poem Lycidas. In the panel discussion 'What is a Great Writer? ', it is shown how Milton can be compared to and understood via works from our own time. 2 What is a Great Writer? An academic panel discussion. 2 Comus: a mask presented at Ludlow-Castle, 1634 &c.
ebook version of Comus: a mask presented at Ludlow-Castle, 1634 &c.
Satan, as drawn by Gustave Doré, in John Milton's Paradise Lost. Open Yale course with Professor John Rogers. Material for the MIT OpenCourseWare 3-unit class on Milton's epic poem Paradise Lost.